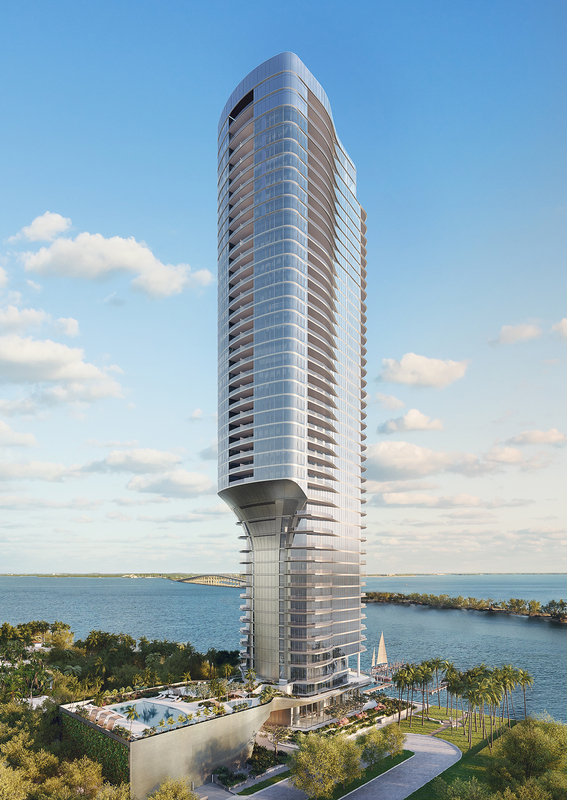 Una Residences will be a new 47-story condominium tower, designed for OKO Group, in Miami’s South Brickell neighborhood. 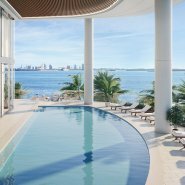 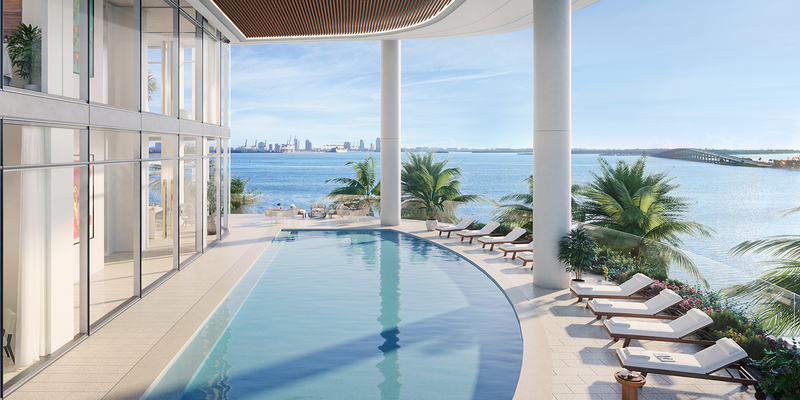 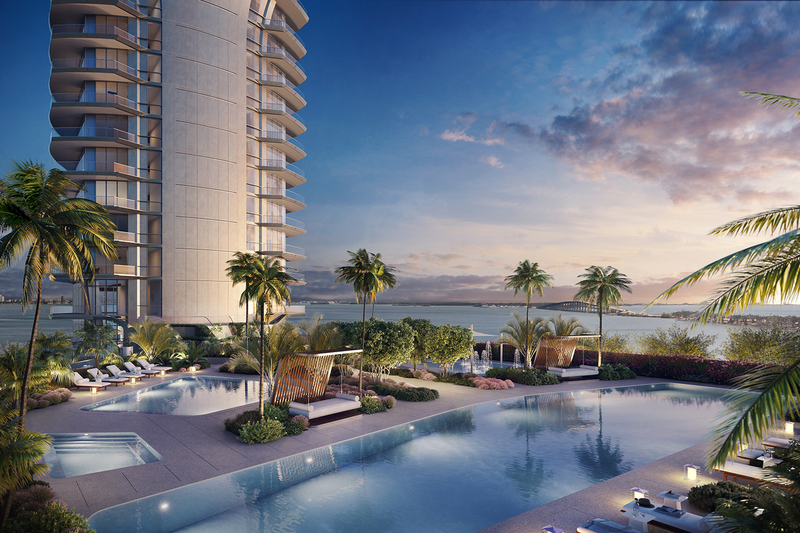 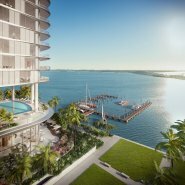 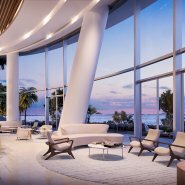 Once completed, Una will have spectacular views of Florida’s coastline including Biscayne Bay, Fisher Island, and the Biscayne Islands. 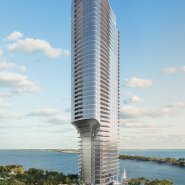 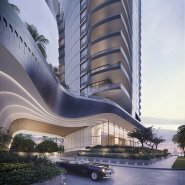 AS+GG’s design intent was to develop a high-quality residential tower that would set the modern standard of living in Brickell. 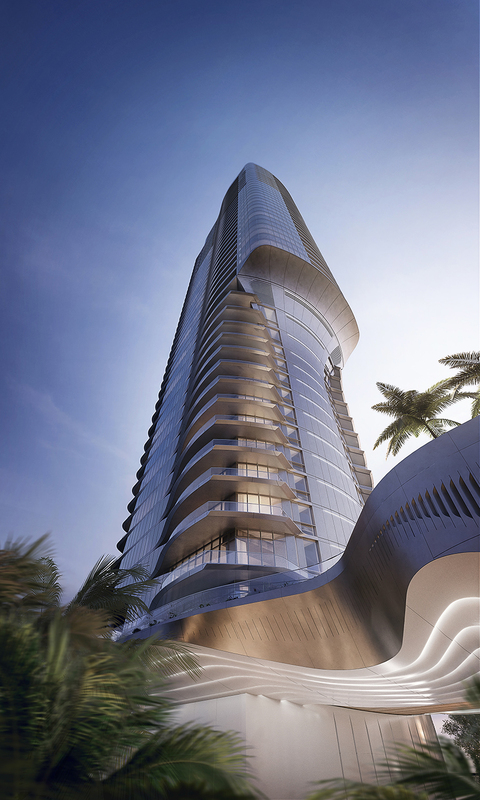 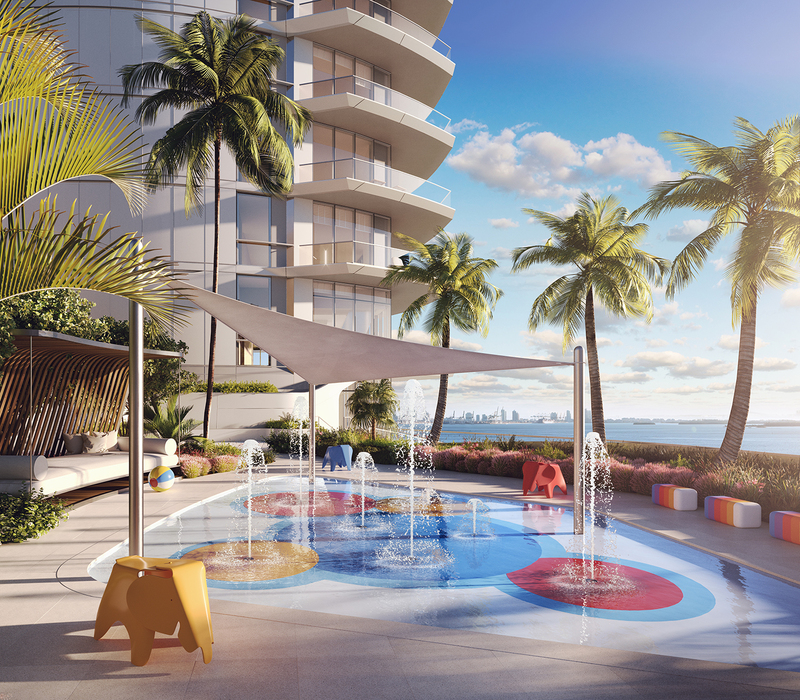 Residences were envisioned that would fully reflect the elegant, yet playful, lifestyle of Miami. 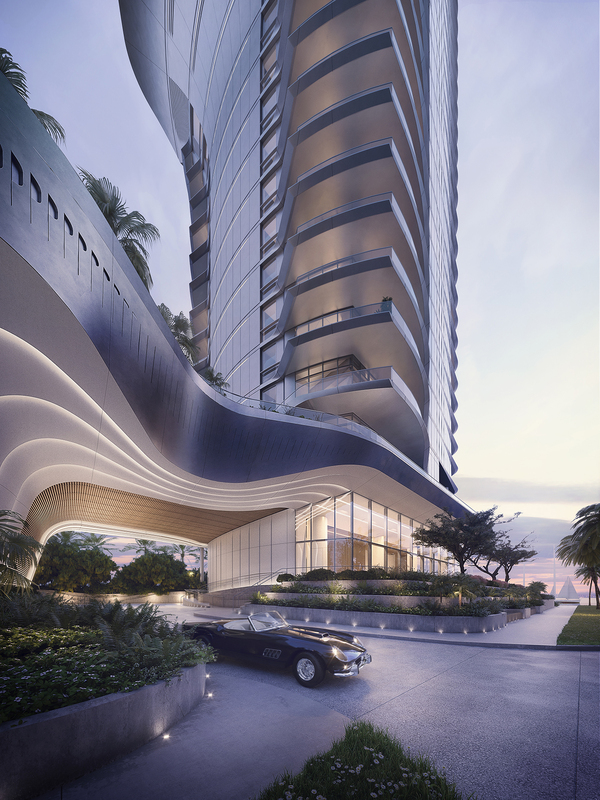 The formal aspects of the building are sculptural in nature. 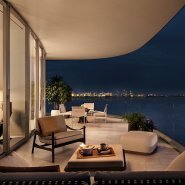 It’s fluid, organic form speaks to the water, and to Miami’s climate, with large flowing terraces that wrap around the building. A sweeping cantilever at the south end of the tower overlooks the amenity spaces on the podium. 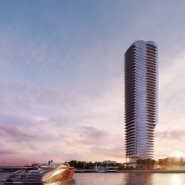 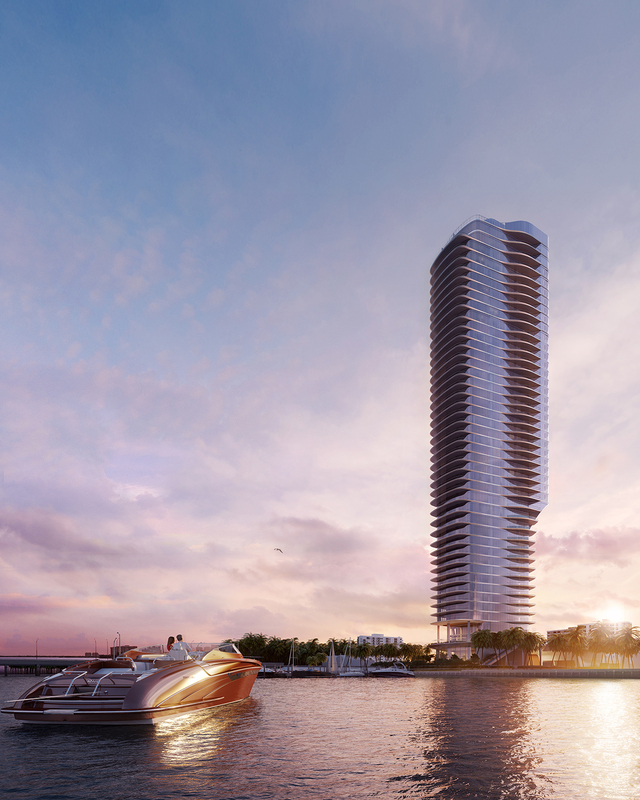 By placing the amenities on the podium levels, the grounds around the tower are liberated, opening the space for public access to the waterfront. 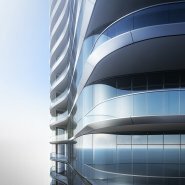 The public access points allow the design a more inviting opening sequence so that the landscaping of the building flows into the landscaping of the park. 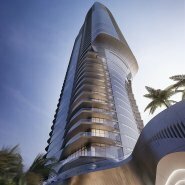 AS+GG is also leading the interior design efforts for the tower, ensuring a seamless exterior and interior aesthetic. 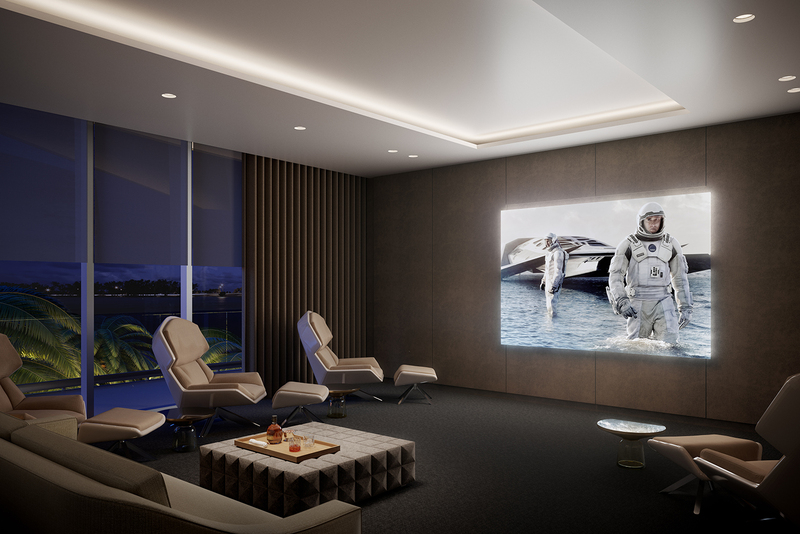 The interior design was inspired by the Riva yacht, a highly crafted wooden sport boat made in Italy. 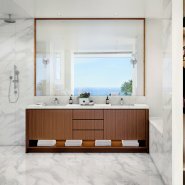 Natural materials like leather, wood, and stone, are featured in warm colors that contrast with the cool tones of chrome and stainless steel. 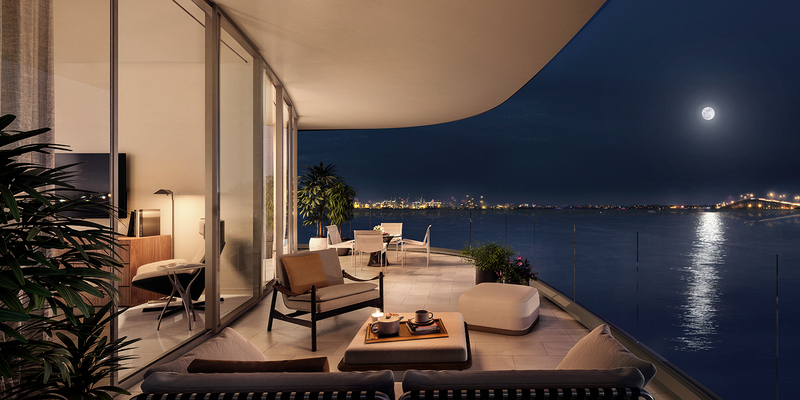 The palette generates a timeless, classic mood. 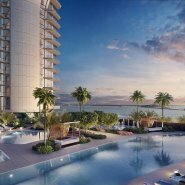 Una Residences (unaresidences.com) will have 138 elegantly crafted residences that range from two to five bedrooms. 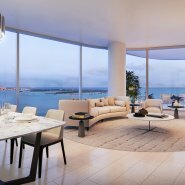 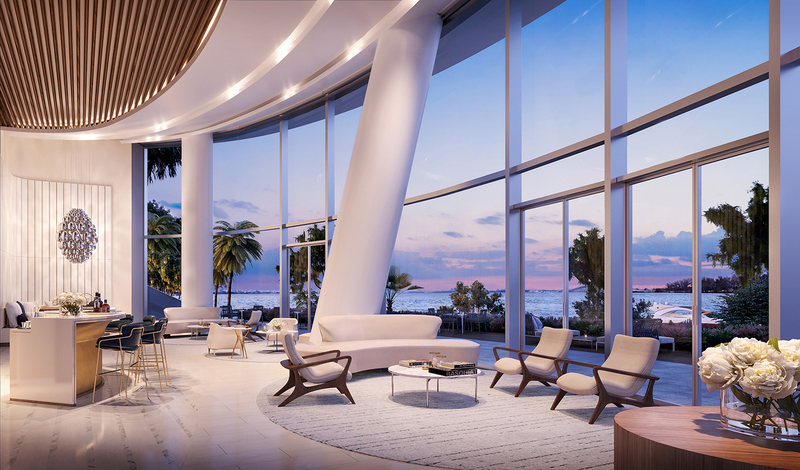 Each residence will feature ocean views, a private elevator entry, 10’8” ceiling heights, a chef’s kitchens with Gaggenau appliances, master suites with double closets and bathrooms, utility rooms with full-sized washers and dryers, and 10-foot deep expansive terraces that feature effortless “lift-and-glide” floor-to-ceiling doors with glass balcony railings for a seamless indoor-outdoor lifestyle. 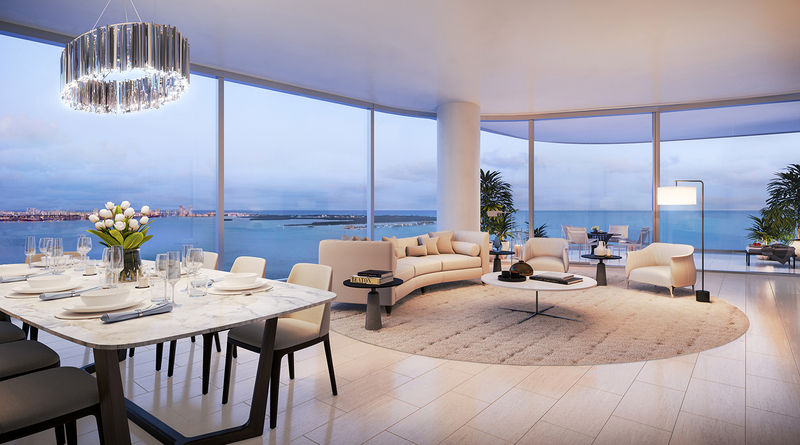 Residences range from 1,100 to 4,786 square feet. 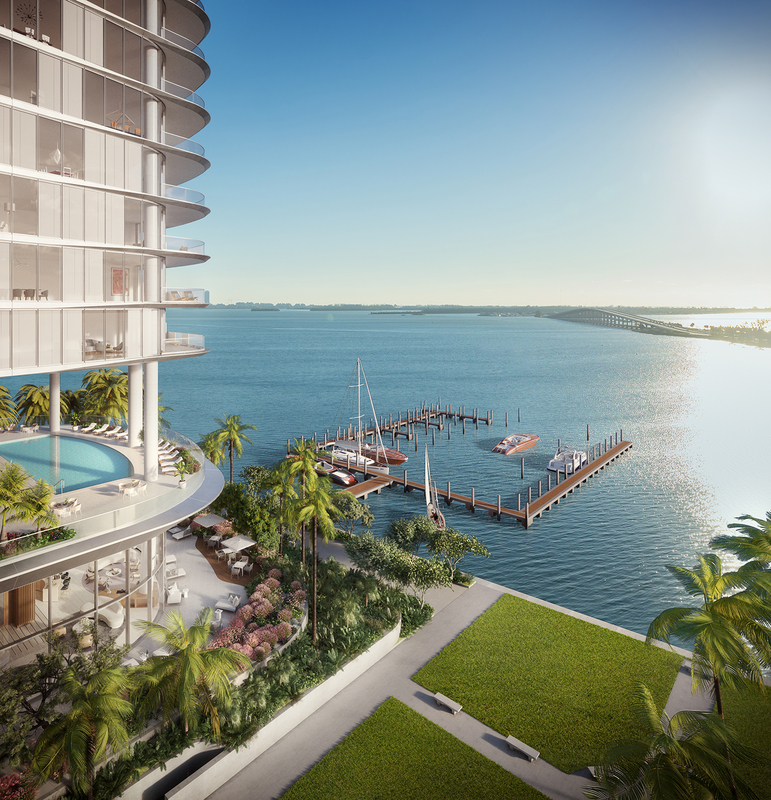 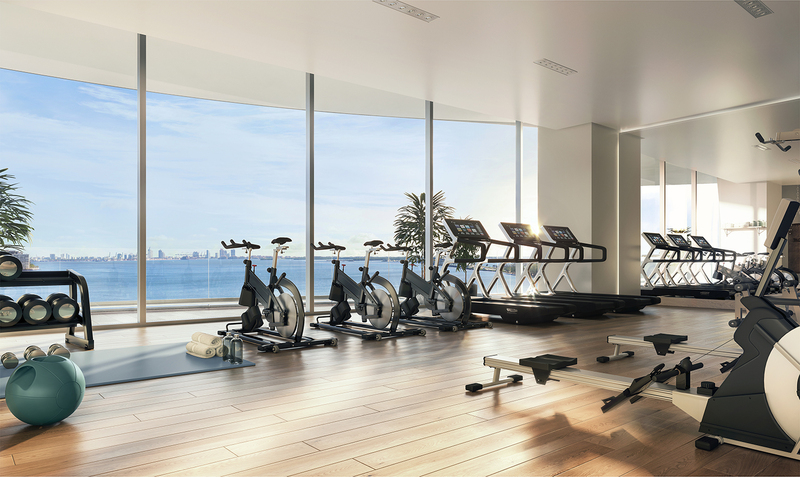 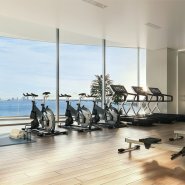 Among the many signature elements that enhance the experience are a private marina for bayside excursions, three pools, a state-of-the-art fitness center with yoga and personal training areas. 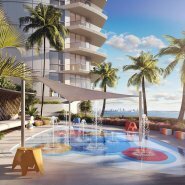 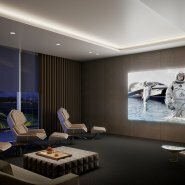 Other luxuries include a dedicated beauty suite for private services, a private resident’s dining/party room, a cinema, a kids’ splash-pad area and playroom, an owners’ lounge and an outdoor lounge, and a 24-hour concierge.